Hours: Sun-Thurs: 11 A.M. to 9:30 P.M., Fri-Sat: 11 A.M.-10 P.M. Regulations: Dogs allowed on-leash outside; 4 tables with 2 chairs each and umbrellas are in front of the restaurant. 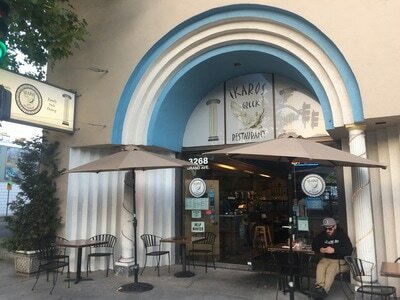 Description: This is a nice restaurant with delicious, authentic Greek food. They have many traditional Greek dishes and offer covered outdoor seating for you and your dog. 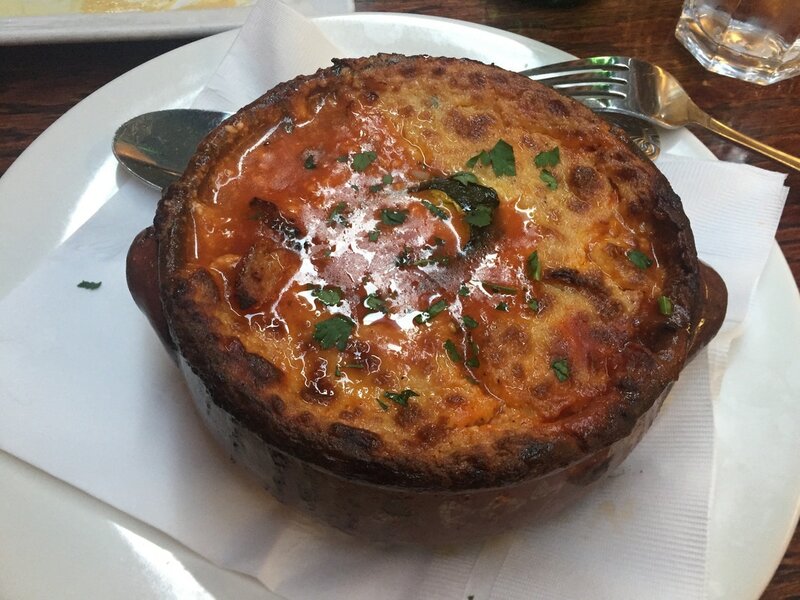 The vegetarian mousaka is incredible. 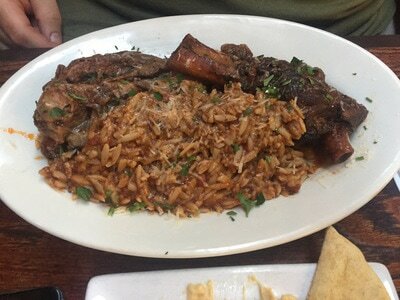 The lamb shanks are also delicious; cooked for 4 hours until they're falling off the bone. This restaurant has great service, and you're sure to find something here that suits you.